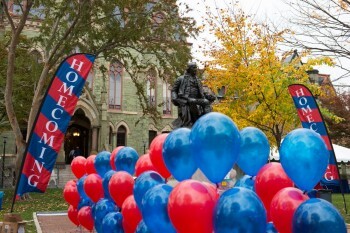 The University of Pennsylvania homecoming football game against Harvard University was held at Franklin Field on Saturday, November 10, 2018. The Quakers lost 29-7 against a tough Harvard team. Prior to the game, Abner’s Cheesesteaks served as a meeting place for members visiting before everyone headed over to the game. The Founders Day dinner will again be held at the Inn at Penn on Saturday, March 30, 2019. As always, the Beta Pi Alumni Association wants all Pikes to remember and recognize the benefits that they derived from Pi Kappa Alpha and to again, share in our celebration. Stay-tuned for details regarding the availability and cost of rooms.